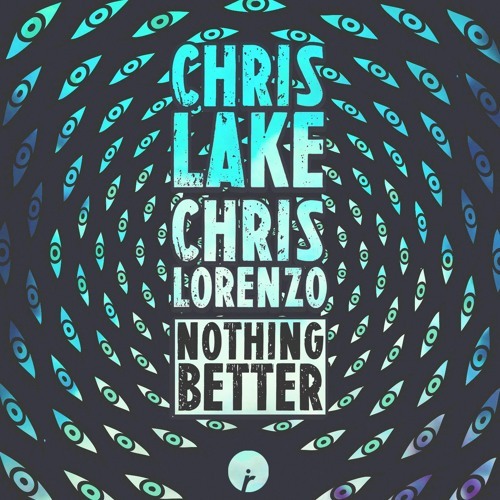 Home / brand new / Chris Lake / Chris Lorenzo / música / House Legends Chris Lake & Chris Lorenzo Unveil "Nothing Better"
House Legends Chris Lake & Chris Lorenzo Unveil "Nothing Better"
Time to dance! House legends Chris Lake & Chris Lorenzo teamed up to deliver a smash of a tune called Nothing Better, via Insomniac Records. In Nothing Better, Lake & Lorenzo curate a track that is filled with the reminiscent vibe of a classic 90's house release but also has the clear-&-crisp sound design of a 2017 production. When the energy of the record kicks in and the pristine, nostalgia-filled vocals of Malika Ferguson reverberate, you'll be convinced that summer has been officially extended into September. The piano chords, and those bass noises are EPIC! The moment I heard the piano keys I knew I would love this song guys! Stream it below! one Chris came to the UK to spend some days writing some records. One Chris had the acapella on his computer and told the other Chris to play some piano, while the other Chris supplied some drum samples and bass noises… It was just a really fun & natural process. Chris Lake is known for his accolades as a producer over the past decade, earning Grammy nominations, producing platinum records, and wowing fans with his remixes – i.e. his Calvin Harris How Deep is Your Love remix which has over 37+million streams. Chris Lorenzo is the House & Bass pioneer from Birmingham, UK and has built up worldwide support with releases on a plethora of tastemaker labels, including Claude VonStroke's Dirtybird Records, Shadow Child & Kry Wolf's lauded Food Music and AC Slater's Night Bass. Lorenzo has also become prolific on the remix front, putting his trademark spin on the likes of Disclosure, Ed Sheeran, Rudimental, and A-Trak. Chris Lorenzo will also be playing several upcoming tour dates in the UK.